We are shaken almost weekly by reports of the threat of terrorism. But just how real is this threat, and how is it experienced by the general public? It is not unlikely that there is a gap between the threat of terrorism and people's perception of the risk. 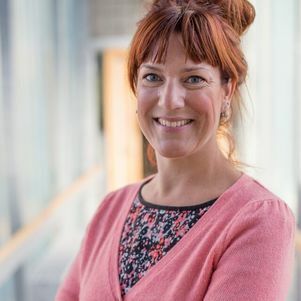 A new research project by Doctor Gerdien de Vries of TU Delft, in which researchers from Leiden, Rotterdam and Delft are pooling their expertise, is intended to show whether this is indeed the case and how communication strategies can bridge this gap. Dr De Vries: “One of the things our research might show is that people overestimate the risk of a terrorist attack and pressure the government to take far-reaching measures that may be exaggerated or unnecessarily expensive. We hope our research will give governments guidance on how to communicate effectively concerning the threat of terrorism in such a way that their message connects with people's perception of the threat”. “As far as we know this is the first time that European research is carried out into the gap between the threat of terrorism and risk perception, and the underlying psychological mechanisms. Another unique aspect of this research is that we are using a new method of quantitative – experimental – research. Similar research has been carried out in the USA, since the 9/11 attacks, but the results are not necessarily representative of Europeans due to differences in cultural background. It is specifically to reveal whether cultural differences and a history of attacks play a role in risk perception that our study is using panels in the UK (higher risk) and the Netherlands (lower risk). The research is funded by the Centre for Safety and Security, that promotes inter-university collaboration in Leiden, Delft and Rotterdam. The research team also includes Dr Elena Kantorowicz-Reznichenko from Erasmus University Rotterdam and Dr Jaroslaw Kantorowicz from Leiden University. “This study is a step on the way to a larger research project on communication strategies and terrorism on a European level, a topic that is of increasing relevance in today's society', says Dr De Vries. Gerdien de Vries works in the Multi Actor Systems (MAS) department, in the research group Organisation & Governance (OG).